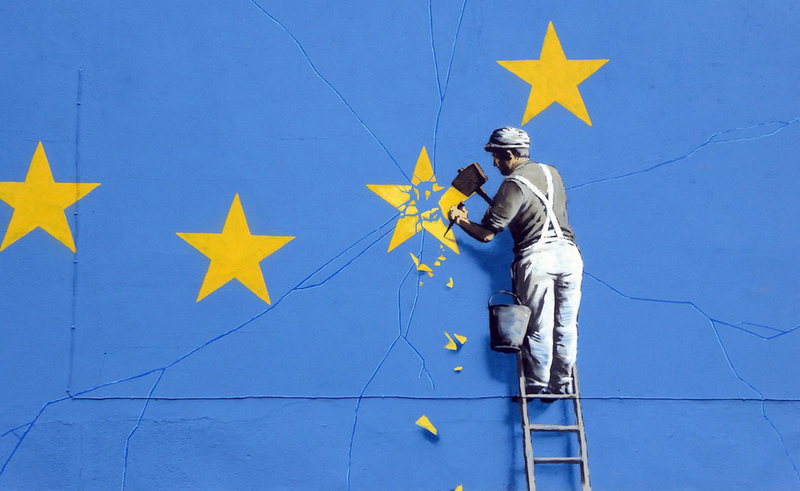 Banksy said his painting of politicians as chimpanzees is back on public display to “mark Brexit day”. It was put back on show at the Bristol Museum & Art Gallery in time for March 29 – the original date of Brexit. It was first on display there in 2009 as part of the Banksy vs Bristol Museum exhibition. An unknown collector bought the artwork, but has loaned it to the Bristol gallery. Banksy posted a photo of the chimp piece on his Instagram account on Thursday, along with a caption reading: “Devolved Parliament. I made this ten years ago.